Marie Khouri insists that she is not a traditional designer. “I come to the design world from a true artist perspective,” she says. Having spent much of her career creating public art (her seated sculpture Le Banc was installed outside Vancouver’s Olympic Village SkyTrain station for two years), she has recently ventured into producing benches and seating for the home. 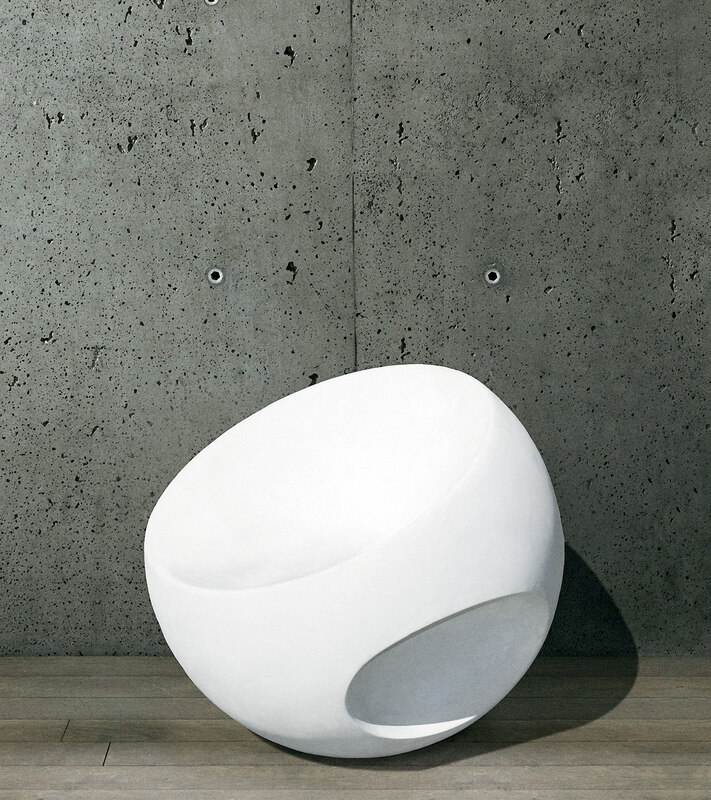 Khouri’s “bbl”, an 81-centimetre spherical seat, is meticulously designed. The process begins with her sculpting a miniature clay form, and then digitally scanning it before scaling the design in Styrofoam. “When you cast a work by hand it’s not as pristine as a machine would have rendered it,” she says, “imperfections come from the hand labour.” After more reshaping by hand, a computer further redefines her lines and she creates casts in lightweight concrete or resin. The result is a graceful, ergonomic, and simple design that has become Khouri’s signature aesthetic. Both casts are available in white, Khouri’s identifying colour (“like a dove, an emblem of peace”). She notes the concrete cast—denser and grittier than the resin—is ideal for patio or poolside use outdoors, but both are functional in any space. The “bbl” chair may be ordered online.